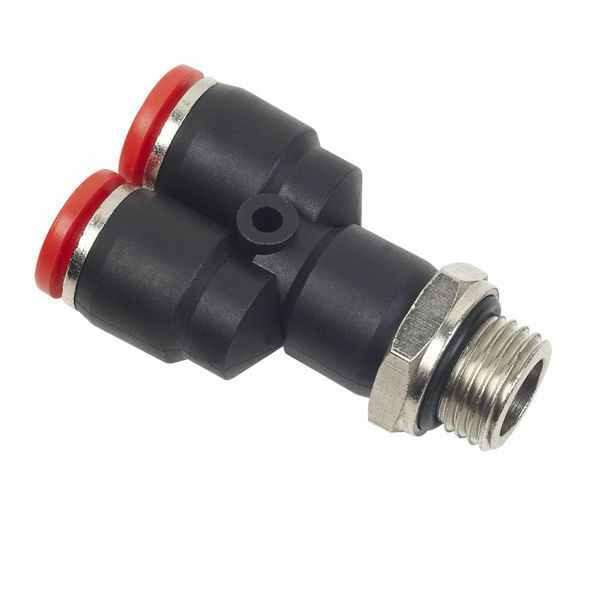 The product is One Touch Tube Fittings with O-ring (BSPP, G) -- PX-G Male Y. The O-ring on the thread supports perfect sealing with G and BSPP thread. Pressure of 0~1.0Mpa (0~150psi) and temperature of 0~60ºC (32~140ºF) are required for their working. 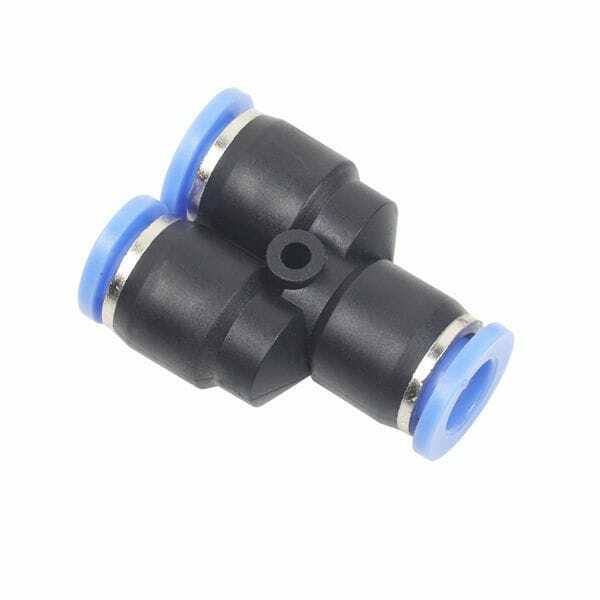 These fittings are designed for making branch line in the same path from female thread.